Cannabis (a.k.a. marijuana, pot, hemp…) is the most prevalent illegal drug in the world. However, despite the stigma surrounding this popular weed, many experts believe that marijuana will be fully legalized in the U.S. and Canada very soon. Once this happens, we can expect a profound effect on the economy (think billions of dollars), which will make legal marijuana a very appealing and lucrative industry. Federal law states that the use, possession, sale, cultivation, and transportation of cannabis is illegal. Recently, however, laws have become more lenient and the federal government has allowed states to legalize or decriminalize cannabis if they establish a regulation system for marijuana. As a result, both recreational and medical marijuana has been legalized in Washington, Oregon, Colorado and Alaska. Meanwhile, 21 states (and counting) have decriminalized or are in the process of decriminalizing medicinal marijuana. And in 2016, we will see even more American states voting on the issue of legalizing cannabis. The use of cannabis for medical purposes is legal as long as you have a Health Canada license. 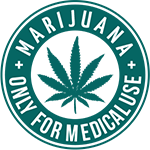 This means that anyone with a valid medical prescription can purchase and use marijuana to relieve pain and other symptoms associated with certain health conditions like cancer, multiple sclerosis, arthritis, depression and anxiety. The use of marijuana for recreational purposes is not legal in Canada. With as many as 58% of Americans supporting the legalization of cannabis and 85% believing that medicinal cannabis should be legal, it is important to recognize that attitudes toward marijuana are clearly changing. Furthermore, over 12% of Americans are daily or near daily consumers of marijuana. Needless to say, the debate between advocates and critics of legal marijuana is intense. Supporters claim that consuming marijuana is no different than drinking alcohol or smoking cigarettes. In fact, it even has proven medical value, from helping people sleep, digest food, and cope with traumatic life events to alleviating pain and other health symptoms. Proponents are also quick to remind their opponents that back in 1840, marijuana was openly sold in pharmacies and consumed across the United States for a century. It wasn’t until 1937 that it became criminalized, much like alcohol in the 1920s. The growing legal cannabis industry means huge economic and investment opportunities. Let’s take Colorado as an example. In 2014, when the first recreational marijuana stores officially opened, legal cannabis was a $700 million industry and was considered the fastest growing industry in the United States. Marijuana entrepreneurs Brian Rogers and Caitlin McGuire, who operated a medical marijuana dispensary in Colorado before the 2014, said they generated over $47,000 in sales at the end of their first day selling recreational marijuana—that’s 30 times their normal daily sales of medical marijuana! Following that same path, we’ll soon see a new type of business emerge: weed startups, i.e. tech companies developing new ways to cultivate, sell, distribute, consume and advertise cannabis. With all the hype surrounding marijuana tech startups, one company that promises to make a huge impact on the way marijuana is cultivated is 3Dponics. By combining traditional hydroponics (one of the most popular methods of growing weed) and 3D printing, 3Dponics has created a new DIY hydroponic system for growing cannabis. Learn all about it in our latest press release. As 3D printing enters the mainstream, more and more people will begin to realize the advantages that the technology has to offer.the biggest of which is customization. Complete customization: The digital files required to 3D print your cannabis hydroponics system are parametric, meaning that you can customize the parts to meet your specific needs, whether you’re building a small personal garden or a large marijuana farm. Easy setup: As with most DIY projects, 3Dponics is easy to set up, even for new growers with little to no experience using hydroponics. Open source: All 3Dponics digital files are open source and available online for free across a multitude of 3D-printing marketplaces, encouraging users to come up with their own upgrades and designs. Monthly subscriptions: 3Dponics users can sign up to our delivery service and receive monthly supplies of fertilizer, grow medium, lights and everything they need to maintain their hydroponics garden. Massive community: The 3Dponics online community already has over 6000 members, sharing experiences, providing troubleshooting support, and discussing the latest in 3D printing and hydroponics news. This number will continue to grow as more and more states and countries legalize marijuana.